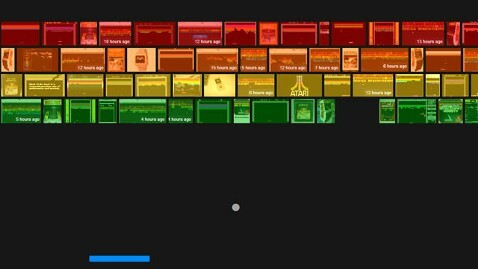 It's the 37th birthday of the classic Atari game Breakout, and if you type "Atari Breakout" as a Google image search query, you can play the 1970s brick game right inside your browser. The tiled image results shrink down to form the layers of bricks as the bouncing ball emerges from the bottom of the screen. You can use either the mouse or keyboard arrow keys to control the paddle. Give it a few tries. When you rack up your best score, you can share it on your Google+ page from right inside the game. There will be even more celebrating this week for Google as the Google I/O developer conference kicks off Wednesday in San Francisco at 9 a.m. local time. ABC News will be blogging live from the event as it happens. In the meantime, you can also check out Google's other interactive Easter egg at the Google I/O 2013 homepage. Punching in different binary combinations by clicking the giant "I" and "O" on the screen will unlock various engaging pages - IIOIOOII is a Simon game, IIIOOIII is a two-button cat soundboard and IOOOOOOI is a Pong game. OK, you all should have enough to keep yourselves busy until Wednesday's events begin.